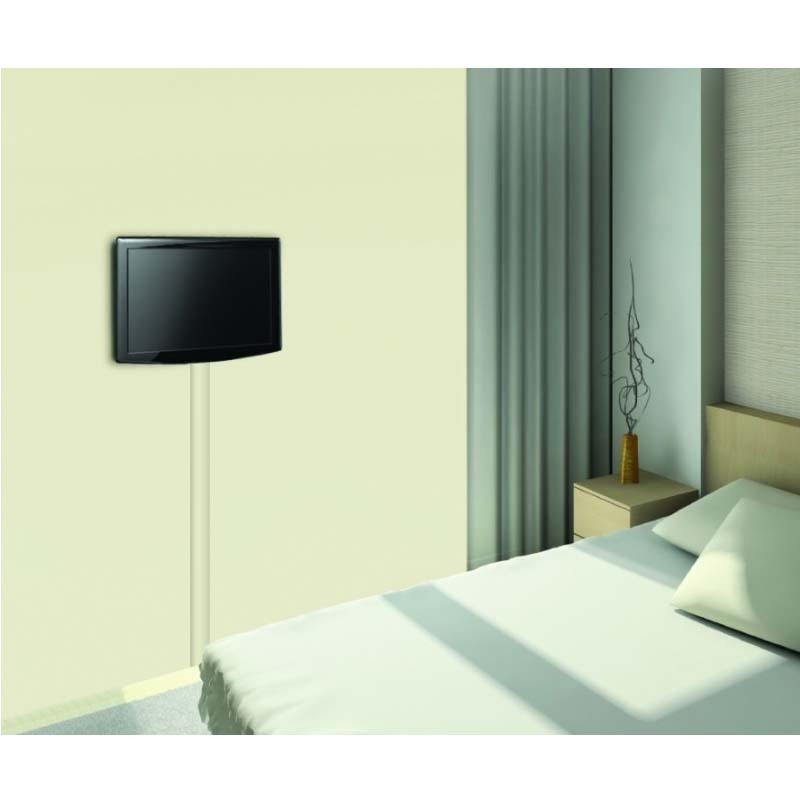 More on the AVF 6 foot Cable Management Kit for Wall Use (Paintable White) UA180W-A below. The UA180W-A is a Cable Management kit to neatly hide your unwieldy HDMI cables, power cables, speaker wires, and other cables. 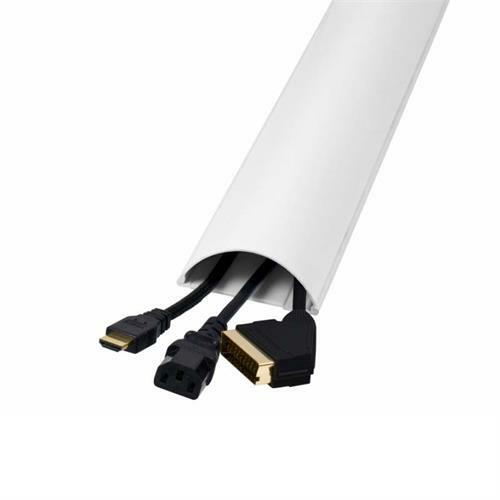 The kit includes a track that attaches to the wall with included adhesive strips, and a 6 foot roll of off-white, paintable cable cover channel to deliver a seamless appearance. It can be cut to length with sturdy scissors, or shears. 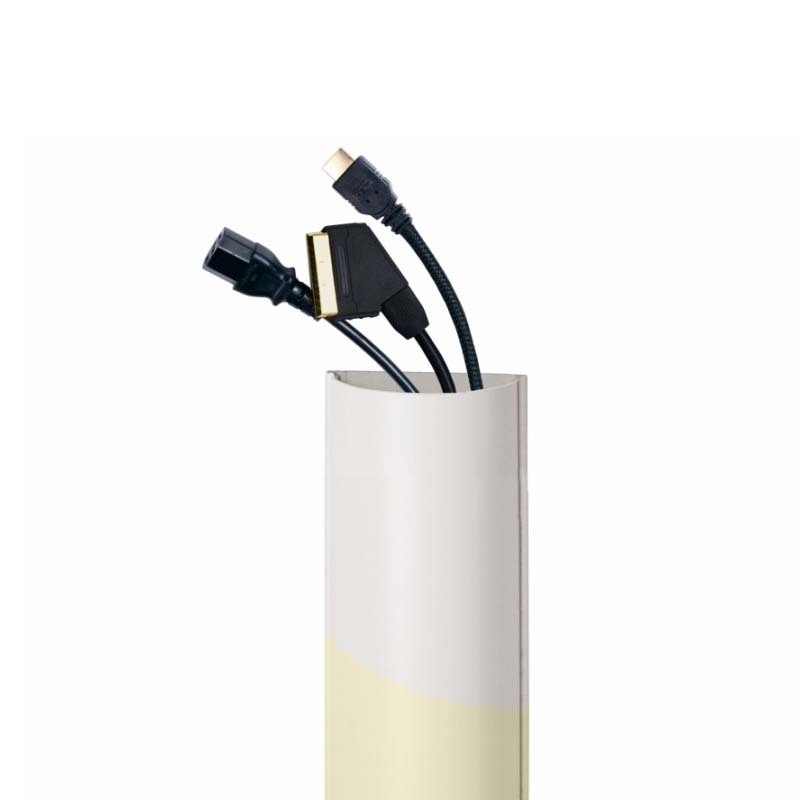 The product is great for use with A/V Furniture, Wall Shelves, Wall Mounted TVs, or anywhere wire and cable clutter needs to be tamed. It's important to note that because this channel arrives in a roll (and needs to be unrolled), the installer will need to follow the instructions to achieve desired results.